From the development laboratories and production facilities to the clients scattered across the globe, supply chain management takes care of all the processes. The industry has evolved massively. Once the caravans pioneered their way through the steppes of far East, and now giant freighters cover the same distance thousands time faster. And millions of people can buy the products globally, regardless of the production location. Today merely responding to the demand is not enough for a business to survive on a long-term run. Petabytes of analytical data and years of accurate forecasting define modern supply chain models. The companies have to know what to produce, who to sell it to, when and where to ship the products and which means to use to make it in time. Machine learning is that aspect that revolutionizes supply chain management. Its potential is still largely unexplored, yet the results that business gets from it are immense already. How can the cargo freighters use an AI? How can a well-trained algorithm define the next big thing on the market? How to time the shipments so well, that the fish caught in north Pacific will be served fresh in Johannesburg's restaurants? The technology has an answer already, and we'll try to break it down, bit by bit. How Exactly Can Machine Learning Help? ML is a complex subject, capable of solving issues in many industries. But what application does it have within the supply chain? We have determined one of the most important reasons for the efficacy of machine learning within this heavily data-reliant industry. By advice we mean a structured result of all data analyzed using specific algorithms that one or another business requires. The industry used to rely on manual analysis and data collection - a time-consuming process that slows down the chain and drains more resources, including financial. 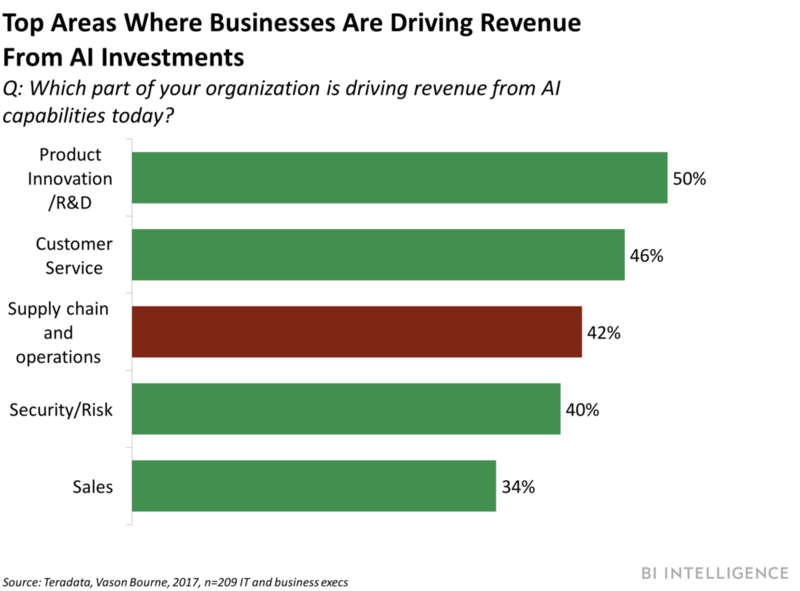 Teaching the AI to understand all of these factors and to produce a forecast made supply chain management more responsive to the surroundings of each industry. The companies learn to create quality things and to cover the demand thoroughly, which results in better customer satisfaction and better revenue for the business. According to Datafloq, 28% of all delivery costs belong to the last mile delivery. It is a critical part of the whole process, as the efficacy of it can have a direct result on sales, customer experience and, in some cases, product quality. The clients wish to know where the shipment is at the moment and how soon will it be in their hands. The tracking software is already capable of showing the approximate location of the shipment and the phase of delivery (e.g. “the shipment is in the post office”). Machine learning, however, is offering more opportunities in this field. Taking into account the wide variety of how people enter their addresses and how much time does it take to deliver the goods to specific locations, ML can provide valuable assistance in optimizing the process and offering the clients more accurate information on the shipment status. Large enterprises are also interested in this branch of machine learning due to the vast demand for internal tracking. Operations demand much micromanagement and an adequately trained AI can aid in this on a business scale as well. 3. Machine learning is capable of boosting supply chain management efficiency to a previously unavailable level. Machine learning algorithms offer immense help in managing the supply chain. Utilizing the pros of each methodology allows a vast analysis and, later on, precise predictions of a broad variety of aspects. Big data visualization, marketing, real-time monitoring and activity, all kinds of forecasts (from demand and customer behavior to weather at any location globally). This is equally important for all parts of the puzzle - from the storage equipment to board computers of freighters. This is where the Internet of Things meets Machine Learning. Analytical and real-time decisions prowess allows companies to use ML as a reliable way of monitoring and increasing the life cycle of all equipment. This means cutting the operations cost and increasing profits. The data analyzed by an AI often provides information about the causes of malfunctioning, microdamage that may have been overlooked by human staff and more. Based on countless analytical operations and measurements, machine learning allows getting precise data on equipment efficiency. Thus the companies can act with greater confidence and focus on other crucial aspects of the supply chain. When the products reach the warehouses, it usually takes a lot of time for the human staff to inspect the packages for damage, wastage and other aspects. Some services (if it is a personal delivery) ask the customers to do it themselves - for better trust. IBM, however, is using machine learning to automate the process and make it practically invisible to the human eye. IBM Watson’s Visual Recognition helps to spot defects on-site without manual intervention, revolutionizing this part of the industry. Same as AIs were trained to tell cats from dogs on the pictures, Watson can see if your equipment is in shape or not. It is still far from perfection and users are required to upload the images of the equipment for scanning, a trained Visual Recognition service is something the industry has never seen before. Businesses sometimes face an issue of mismanaged production or delivery. The goods may be already produced, but the weather blocks the delivery plane from landing, or favorable market conditions can result in a lack of products to sell (failed sales forecast). The larger the market range, the bigger the production chain, the harder it is to manage everything correctly. A trained AI can analyze the data from all variables and make it much easier to set the cycles correctly. 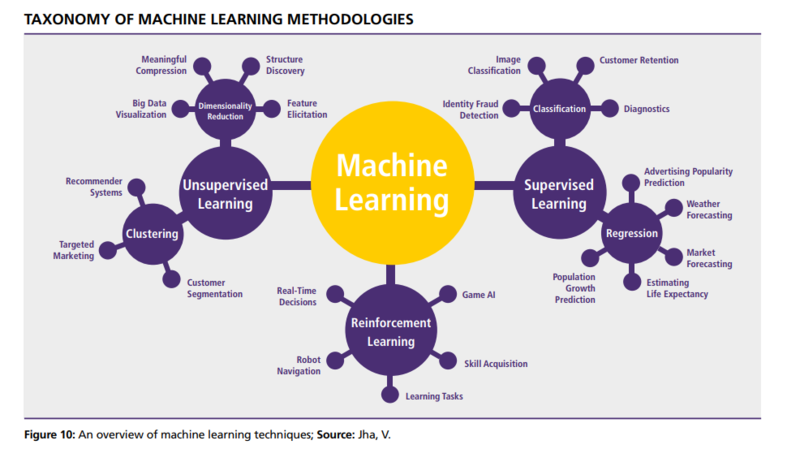 With profound forecasts using all aspects we've mentioned above and managing production cycles accordingly, machine learning can turn the whole enterprise into a reliable mechanism, no longer prone to similar cases of mismanagement. A trained AI can offer insight into various types of forecasts that come with unprecedented precision. Data gathered from the IoT advancements and managed by ML algorithms allows better planning, optimizing and management of all parts of the supply chain - from production to last mile delivery. Machine learning increases the cost-effectiveness of the whole process while unlocking knowledge that was unobtainable via previous technologies. Human staff now need much less manual intervention to be on top of every aspect of the supply chain. Real-time data allows instant response to any threats as well. Thanks to technology, supply chain management has entered a new level of transparency and operations efficiency, and that is likely to be improved further. Still have questions about machine learning within supply chain management? Message us at contactus@inveritasoft.com and get the answers you seek. Trying to build your software using this technology? Our experts can help, starting today!